This fun pub sign brings back the Wild West and admonishes your guests to 'Please leave your gun at the door'. The full-color sign also reads: Finest Whiskey, Strongest Ales and Tales. 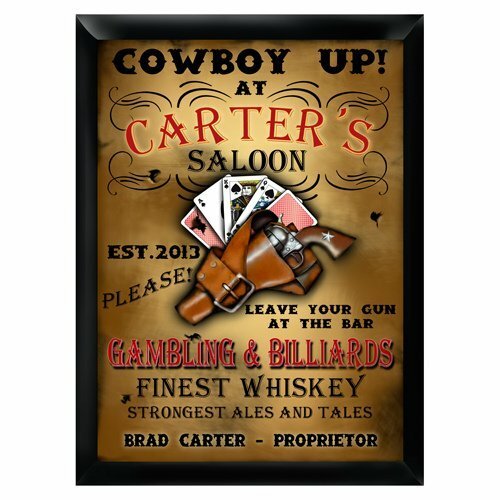 You may personalize it for the recipient of the sign who will be listed as the proprietor. Specify the first and last name to be included and the year of establishment. What a great addition to your basement bar area or family room!